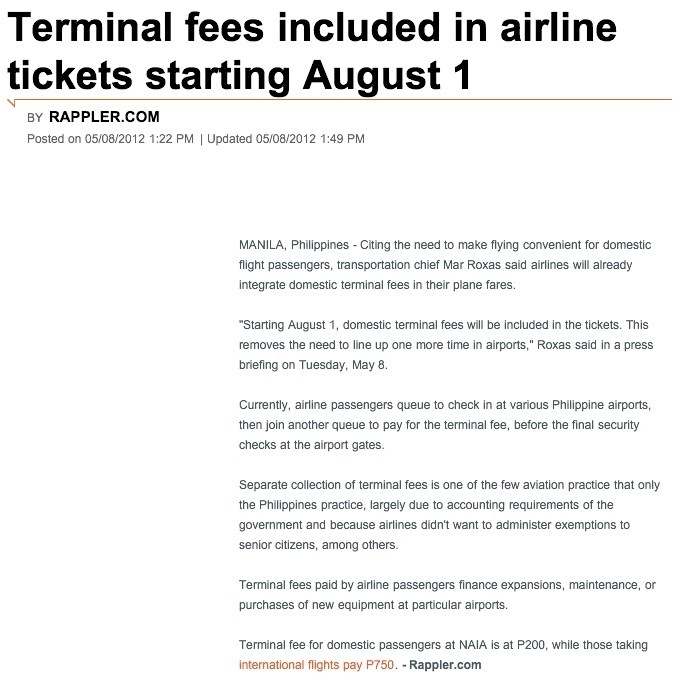 Terminal fees included in airline tickets starting August 1! Remington Hotel for Mother’s Day! You are Here >> Home » Tips » Terminal fees included in airline tickets starting August 1!